Includes aluminum rail, ceiling support, hooks and gliders. Will make 'L' (30" x 66"), 'U' (30" x 30" x 30") and straight (72") sizes. For additional sizes the rails are easily cut with a junior hacksaw. 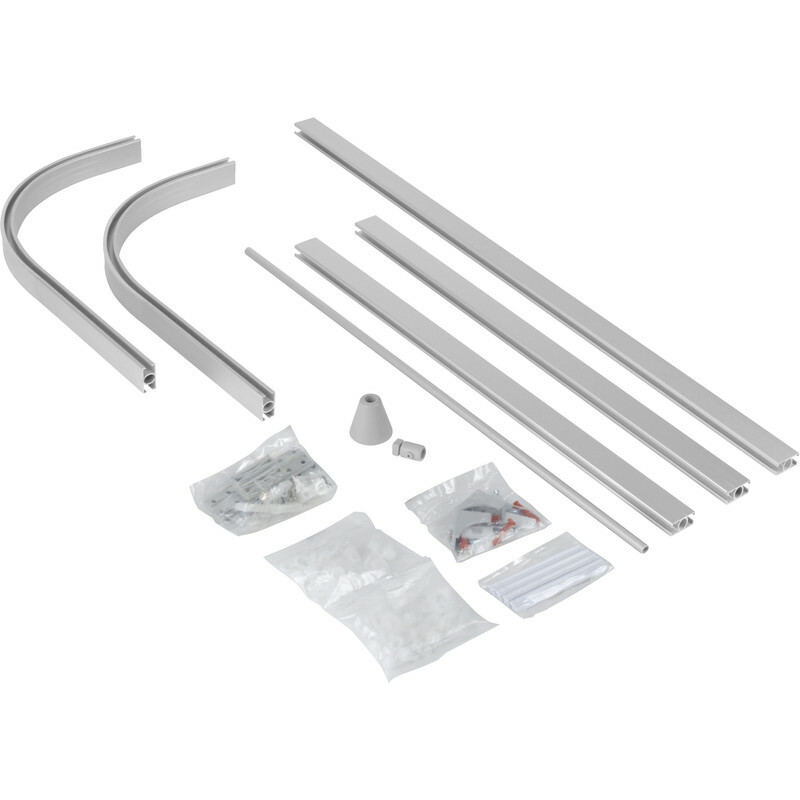 Modular Glider Shower Track is rated 3.6 out of 5 by 9. Rated 1 out of 5 by Icyminx from Shockingly poor design Bought this two weeks ago. Modular system - went together well - no complaints. Fitting to the wall - nightmare. The brackets for the wall needed to be countersunk so the screw did not inhibit the rail from fitting into the bracket. Secondly, once countersunk, longer m4 screws were needed to secure the locking wedge. I am an enthusiast DIY'er who (female) managed her first and final plumbing fits of a wetroom in two days and spent 3 hours struggling with this shocking design. Rated 1 out of 5 by Chubman from Poor quality. This is the first item I am have ever had to return to Toolstation, the rails are of good quality but that is about all,the small brackets used to join the rails together when tightening them without over tightening the same, to the threads strip within the small plastic strip also the wall brackets are very small for the job. Rated 3 out of 5 by Alan99 from Joins not great Mostly good product, But the track joins tend to sag. Rated 4 out of 5 by stann20 from better than a standard rail The ceiling support bar makes this product better than a standard rail, it needed careful cutting to size and I filed the ends before assembling so the included slider hooks ran smoothly. Rated 4 out of 5 by Installed from Good A lot better than expected for the price, all fits together nicely and easy to install.